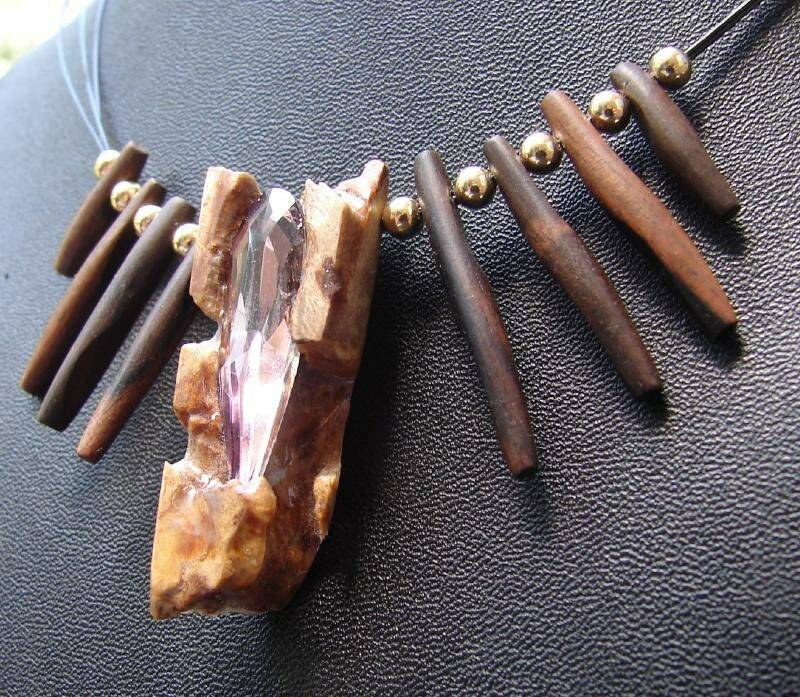 Laguna Beach drift wood carved out to accept a vintage rose Swarovski crystal (30 x 11 tear drop cut) is then coated with a clear polyester resin and polished , the stone is placed in the wet resin but not covered by it. 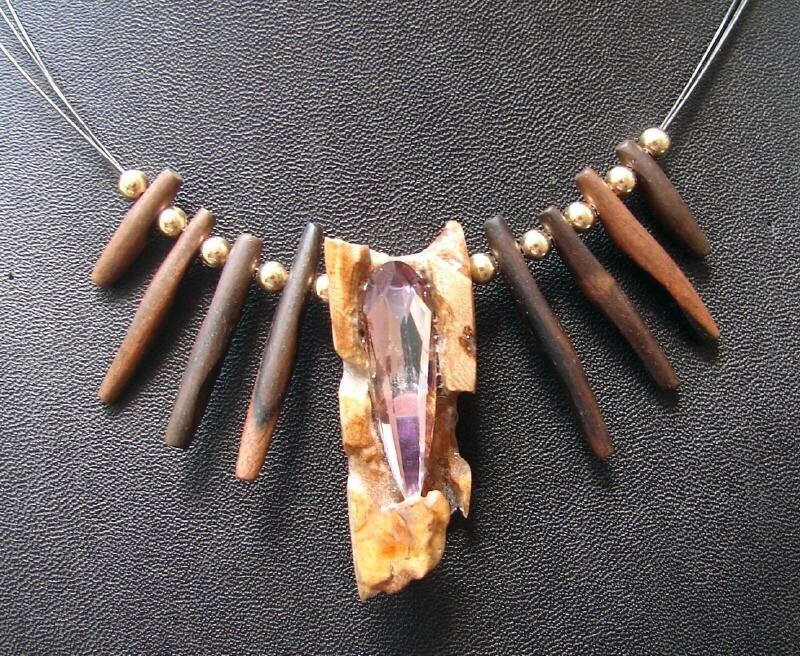 Allowing the precision cut and light refractive qualities of the crystal to contrast beautifully with the natural curves of the drift wood piece. 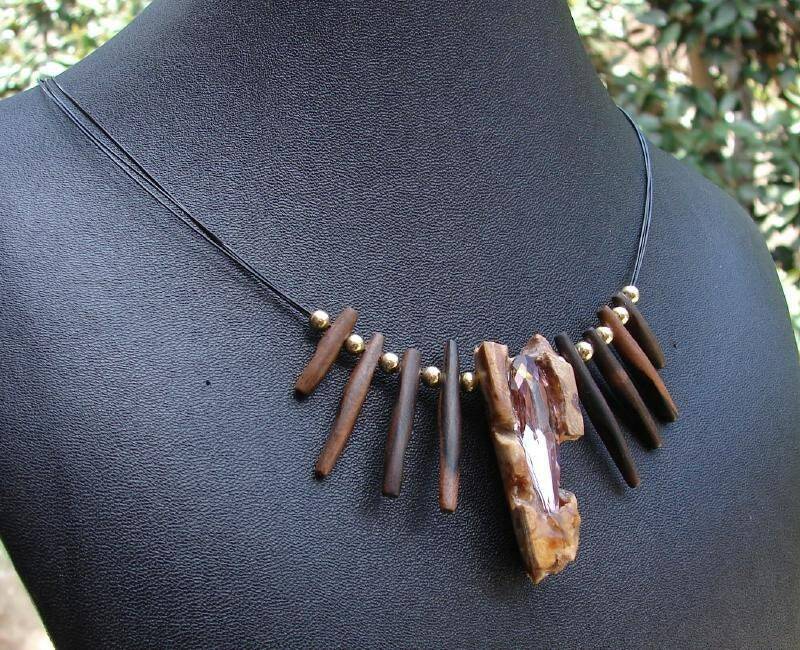 Accented with polished wood pieces on a three strand steel wire necklace.